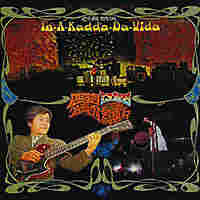 The Godfather Of South Korean Rock Shin Jung Hyun, commonly called the godfather of Korean rock 'n' roll, is often compared to Elvis Presley. But that really doesn't do him justice. Sure, he might have been as popular as Elvis in South Korea. But he's more like the David Axelrod, Brian Wilson or Jimi Hendrix of South Korea. Here are a few songs from the star, as well as some of his protégés. 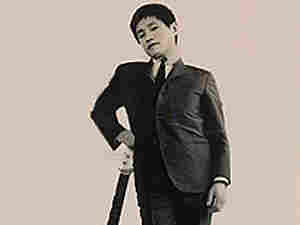 Shin Jung Hyun, commonly called the godfather of Korean rock 'n' roll, is often compared to Elvis Presley. But that really doesn't do him justice. Sure, he might have been as popular as Elvis in South Korea. But he's more like the David Axelrod, Brian Wilson or Jimi Hendrix of South Korea. Here are a few songs from the star, as well as some of his proteges. 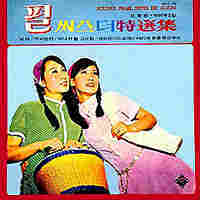 This album, like many that Jung Hyun produced, is not about the man featured on the cover. It would seem like he had a deal with every Korean label that wished to record him: "I'll do whatever you want on the A-side if you give me the B-side to freak out a little something with my friends." Thus, we're given "The Beautiful Rivers and Land," which Jung Hyun supposedly composed because president Park Jung Hee asked him to compose a song about the presidential residence. Instead, Jung Hyun responded with this dreamy, psychedelic masterpiece. A killer interpretation/interpolation of the Jefferson Airplane song. Jung Hyun tears "Somebody to Love" apart with his solo. The American records that hit Seoul largely came from the American GIs stationed there, then made their way to the progressive populace via sessions at the tea houses, whose owners covertly smuggled the records into their collections. When Jung Hyun wails "The psychedelic sound!" 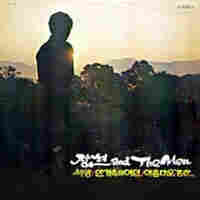 at the end of the spoken intro to this song, the Korean psych-rock movement hit its zenith. This album, presumably a bootleg though released on the label that released most of his albums from the period, contains the freakiest version of Wilson Pickett's "Funky Broadway" I've heard. But the reason to pay the $1,000 price of admission is the title track. 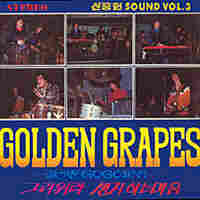 The standard that every Korean psych group covered goes to new heights over the course of 16 lo-fi minutes. I can just imagine how wild it must have been to hear Jung Hyun utter, "You might think I'm crazy / I'm outta my head / but I'm doing my thing," in English, in the middle of his solo. 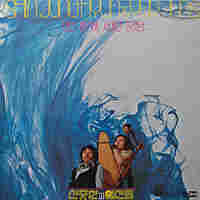 The rarest of Jung Hyun records; when it exchanges hands, it's usually well-worn -- and it still fetches about $3,000. Westerners lucky enough to have found a copy of the reissue of the "Sound" trilogy might have heard "Instrumental," a funky dirge performed in Jimi Hendrix style. It never loses an ounce of intensity over nearly 15 hard-earned minutes. The drum break that ends the song so abruptly must have been the result of tape spooling off the reel. Why else cap such a sublime experience in such an awkward fashion?